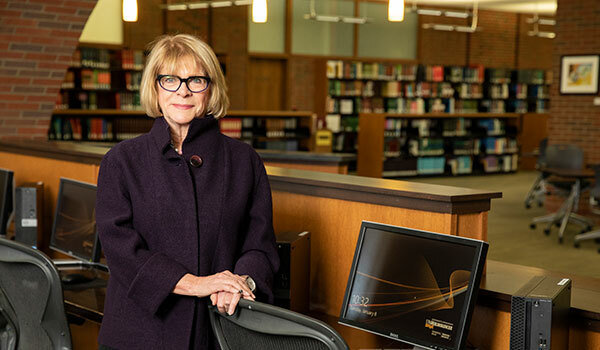 It’s been more than 40 years since Ellen worked at the Golda Meir Library while pursuing her Master of Library & Information Science degree at UWM, but these experiences paved the way for an impressive career in information and technology services. In 2016, she retired from her position as Dartmouth College’s vice president for information technology and chief information officer. 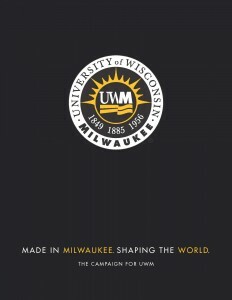 Although she worked at several universities throughout her career, Ellen and her husband, Scott Franzen, decided that UWM was the place where they wanted to establish the Ellen Waite-Franzen ’77 Scholarship for students pursuing their master’s degrees in the School of Information Studies. Ellen vividly recalls accepting a library staff position in 1975 and starting work the same day that computer terminals for digital card catalogs were installed. (UWM was the first in Wisconsin to introduce this new system.) When one of the head librarians suggested that Ellen apply to UWM’s recently accredited graduate program for a master’s degree in library science, she enrolled full time – while working full time at the library – and finished her master’s in one year. Ellen’s degree combined with her experience using the new digital card catalog made her an attractive job candidate, and after graduation she took a job at Marquette University before becoming head librarian at Loyola University in Chicago. There, she says her biggest accomplishment was transforming the culture from a closed atmosphere to one that welcomed people and celebrated libraries and information. She later served as vice president and chief information officer at three institutions: the University of Richmond, Brown University, and Dartmouth College. In 2017, she was recognized as one of the School of Information Studies’ most distinguished alumni.